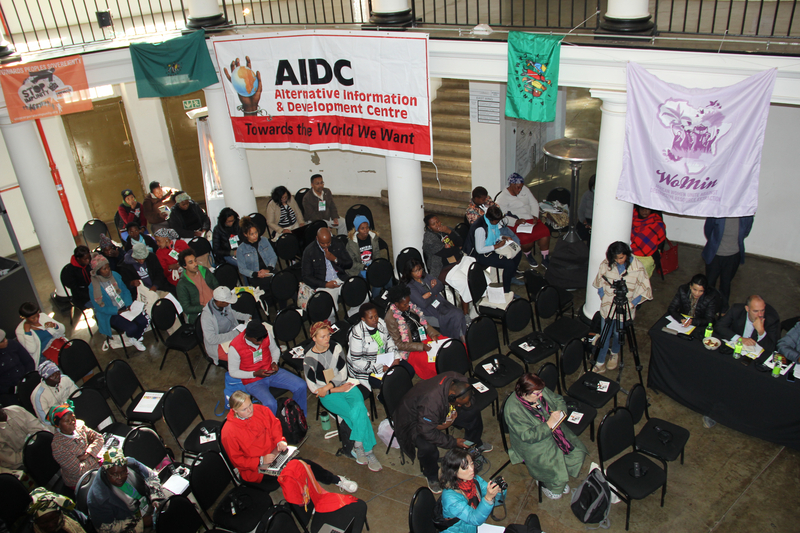 (Constitutional Hill, Johannesburg, 19th August 2017) – Yesterday, the second session of the Southern Africa Permanent People´s Tribunal on Transnational Corporations closed, more than two hundred participants, including communities affected by Transnational Corporations (TNC) and the JURORS leave Constitution Hill, in South Africa, with the commitment to toughen the struggle against and continue to expose the atrocities of TNCs that steal Southern Africa’s natural resources and violate people´s rights. The seven cases presented at the session over the last two days (17-18 August) exposed the inhumane way under which the capital accumulation of TNCs has been destroying people’s livelihoods, the environment and the sovereignty of the countries in the region. In most cases, corporate abuse includes infamous criminalization of resistance and protest, as was the case of Mozambican peasants and activists resisting ProSAVANA as well as the imprisonment of eight Tanzanian activists that fight against the extraction of uranium in Namtumbo district at the Mkuju River Project in the Ruvuma region. “We denounce these abuses. No project should be developed at the expenses of people’s livelihoods and lives. This tribunal is an important step to call the attention of the international community and watch the cruel behavior of corporations”, said Flaviana Charles, a participant from Tanzania. According to Nnimmo Bassey, a member of the jurors, “this tribunal is providing victims of TNCs and grassroots defenders an Excellent space to state their cases, expose impunity, and build connections and strategies with other activists and communities from other countries in the region. This will allow them to build a stronger platform of struggles to overturn the abuses perpetrated by those corporations”. In a moment where capital penetration is advancing in all sectors in Southern Africa, especially in mining and agribusiness, strengthening the struggle against this trend constitutes a priority in the agenda of affected communities and their allies. The Permanent People´s Tribunal on Transnational Corporations is part of a global campaign to dismantle corporate power and the architecture of impunity in which hundreds of partners, namely social movements, civil society organizations and individual activist from all over the world are developing a People’s International Treaty on economic and political alternatives, which includes proposals for binding obligations and legal mechanisms for holding corporations accountable for their actions.